Once out of sight of the store, Marcos reveals to Juan that he’s not a cop, but actually a fellow con artist. After hearing Juan’s story of his father’s plight, Marcos offers to take him under his wing and teach him the tricks of the trade. Sandler, an aging con artist in poor health, contacts Marcos and asks for his help in unloading counterfeit copies of a set of rare stamps called, The Nine Queens. Their mark is Gandolfo [this is not the Spanish version of the Grey Wizard], a wealthy criminal facing deportation and desperate to smuggle his fortune out of the country. But in the world of the grift, things aren’t always what they seem. 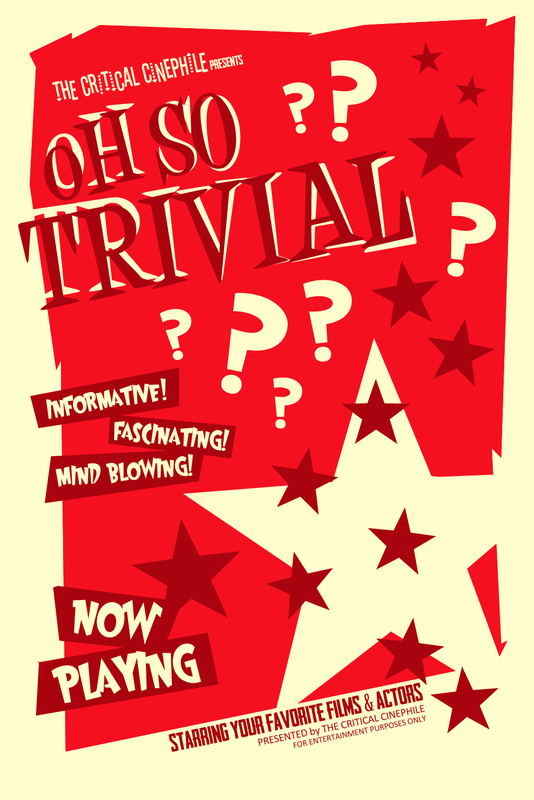 A delicate game of cat-and-mouse is set in motion, but who’s conning who? Nueve Reinas is a charming, well-crafted film from Argentina. Director Fabián Bielinsky is a kind of confidence man in his own right, presenting a story full of twists and turns where the audience is the mark as we are left guessing until the very end. Full of quirky characters and intelligent humor, Nueve Reinas makes you relish the fact that you’re having the wool pulled over your eyes. Ricardo Darín [who looks like an Argentinian Alan Rickman] is fantastic as Marcos; and even though you constantly feel he’s up to no good, you can’t help but fall for his shifty charms. Equally as charismatic, Gastón Pauls brings a certain doe eyed innocence to the character of Juan, making you root for the underdog and revel in the moments he shows he can hold his own. The rest of the cast of characters are rounded out nicely, from a bleached blonde cougar heiress, to Marcos’ sister with a hypnotic swagger; Nueve Reinas is a film where its players are just as impressive as its con. With an extraordinary showing on the international film festival scene, Nueve Reinas was nominated for 28 awards, winning a remarkable 21 of them, including several Best Actor awards (for both Darín and Pauls), Best Director, Best Screenplay, and Best Film. 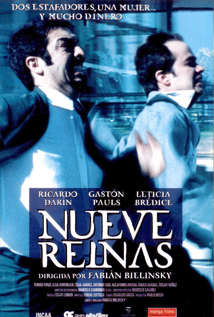 Since its release, Nueve Reinas has gone on to be considered a classic in Argentinian film. This entry was posted in Crime, Thriller and tagged Argentina, Fabián Bielinsky, film, Gastón Pauls, movie, Nine Queens, Review, Ricardo Darín. Bookmark the permalink. I have been told I should try El Secreto de Sus Ojos for another example of really good Argentinian cinema. Still just surprises me that they have what sounds like a thriving cinema culture and I just hadn’t heard about it yet. You should also look for The Official Story (La historia oficial), which (like El Secreto de Sus Ojos) also won an Academy Award for best foreign film in.